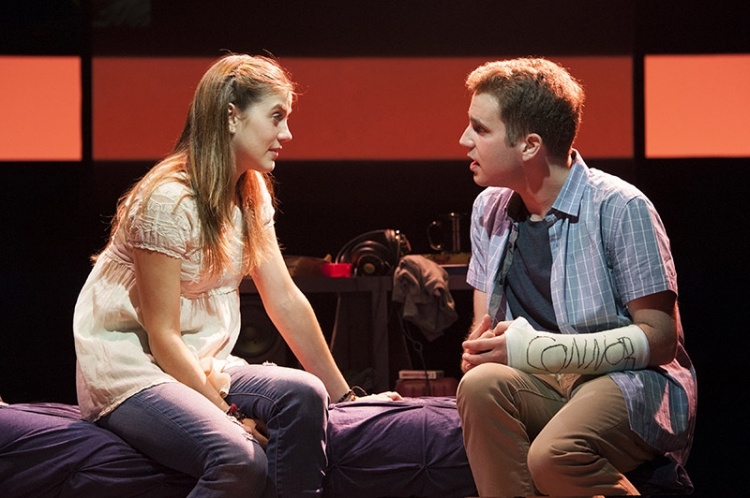 Timely staging, well judged writing and powerful performances distinguish brand new teen spirit musical Dear Evan Hansen. 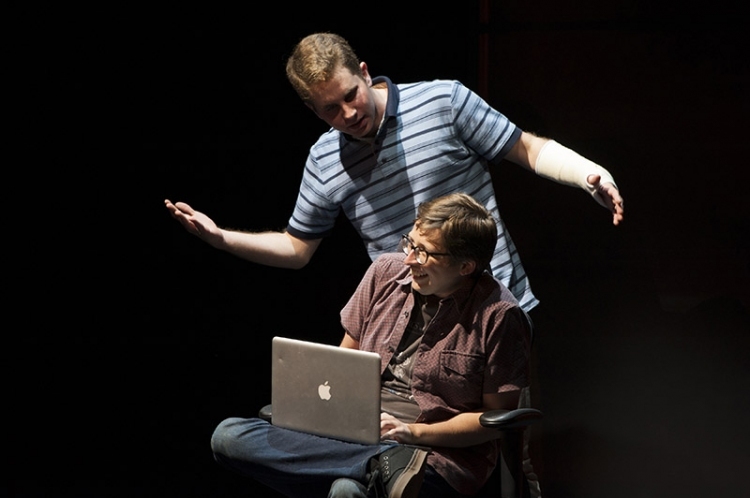 First, a quick note: the performance attended was only the third preview of this off-Broadway season of Dear Evan Hansen. The show premiered last year at Arena Stage, Washington DC. 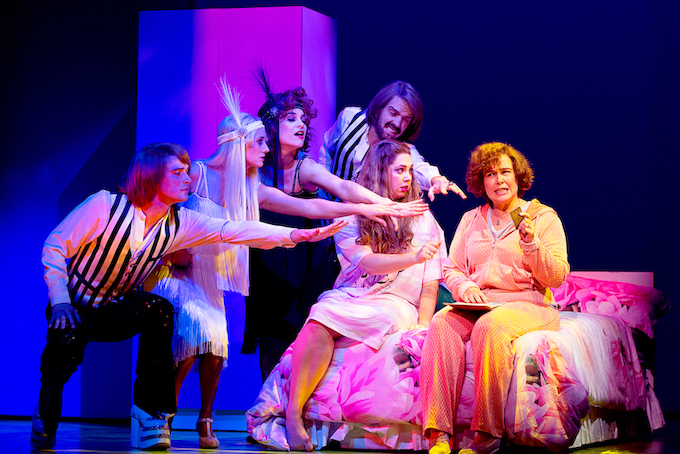 Although there is a chance of some tweaks during previews, the show and cast appear to be in excellent shape. 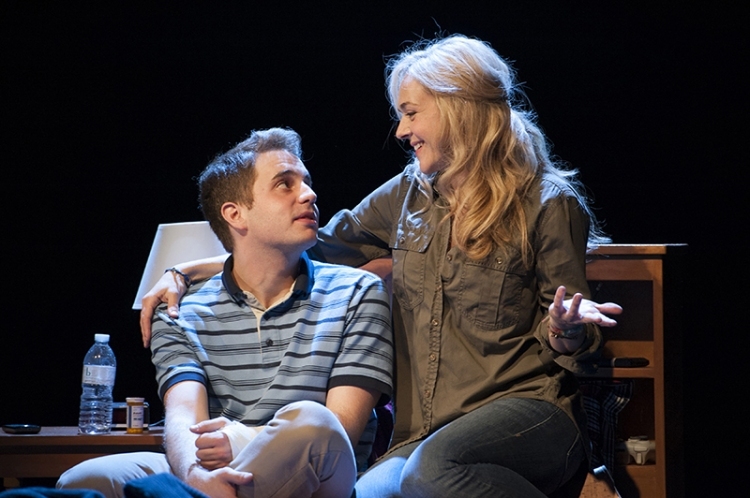 Dear Evan Hansen is the rarest of all stage creatures: an entirely original musical. Steven Levenson’s book speaks to the outsider in us all, addressing the pecking order that exists even at the very bottom of the high school popularity stakes. Levenson expertly captures the distinct combination of awkwardness and intelligence that characterises teenage conversation. Director Michael Greif brings this world to life with honest, natural performances from the cast of eight talented actors. The characters and situations are so real that (for just about the first time ever) I actually felt that it was slightly odd when people started to sing. This is not meant as a criticism, but rather a reflection on the strength of the book and the believability of the performances. 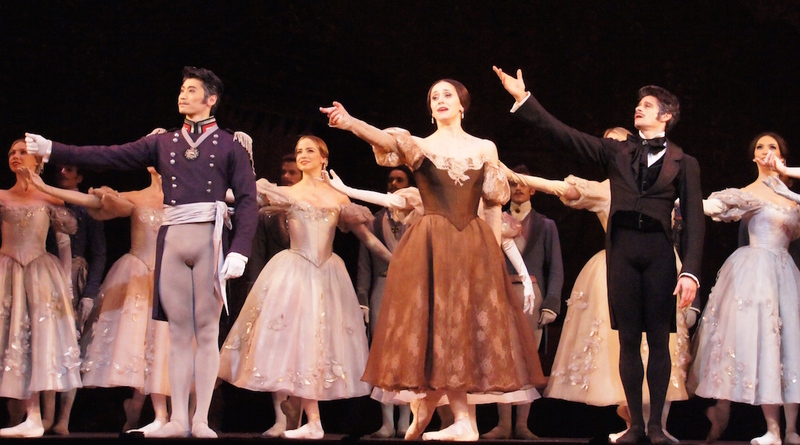 Many musicals have been updated to give characters mobile phones or to displays tweets on stage, but this show fundamentally incorporates technology and social media, in that these aspects are crucial to the story. 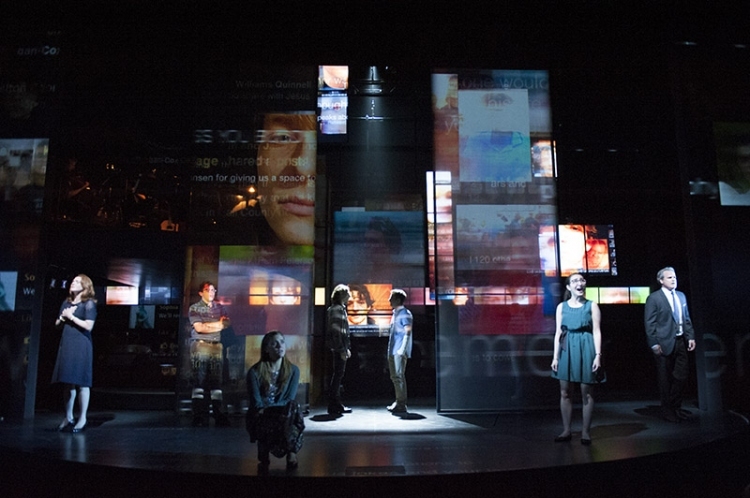 Scenic design (David Korins) and projection design (Peter Nigrini) create a stage collage of social media images, which are occasionally animated when increased online activity is prevalent. The most successful use of these images is when they show that someone can be surround by “friends,” “likes” and “shares” and still be alone and unheard. Evan Hansen lives with his anxiously overprotective, yet frequently unavailable, mother. The title of the show refers to the motivational letters Evan’s counselor insists he writes to himself. The direction of the story takes a surprising dramatic turn early on when one such letter falls into the hands of Connor, the stoner brother of Zoe, Evan’s secret crush. A tragedy (no spoilers here) leads to a well-intentioned and yet unfortunate web of deceit that deeply touches the affected family and binds the school students together in a call to action. Facebook, Twitter, Skype, YouTube and Crowdfunding all play a role as the situation snowballs to viral levels. The score, by fast rising talents Benj Pasek and Justin Paul, is instantly accessible, the light rock sound tempered by use of strings in the tight band of eight musicians. With so much story telling in the book scenes, the songs are mainly used as a chance to hear and reflect upon the characters’ inner voices. Fortunately, this is a show where the ending is as well conceived as the initial exposition, and the final couple of songs are particularly moving. 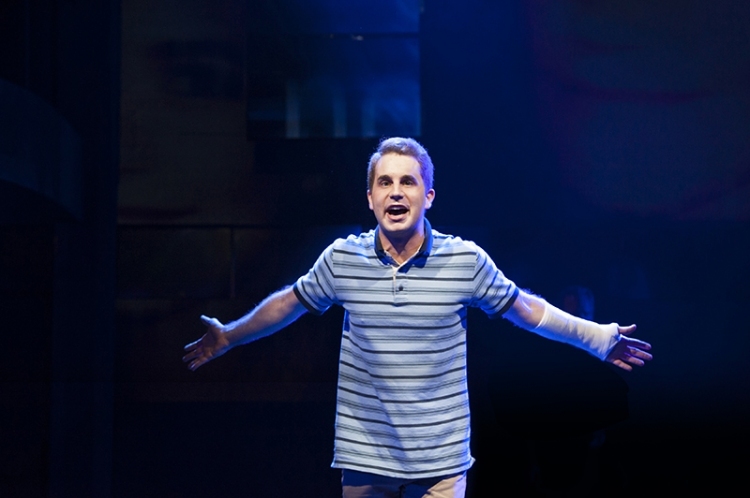 Ben Platt (of Pitch Perfect fame) gives an extraordinary performance as Evan, charting a journey that moves from crippling self doubt through blossoming self belief to accomplished young adulthood. As well as portraying highly identifiable character traits, Platt wins audience affection with humour before breaking hearts with his no-holds-bar immersion in Evan’s grief. Platt sobs real tears, runny nose and all. Rachel Bay Jones creates a quirky characterisation of Evan’s Mom Heidi, rising well above the simple stereotype that could have easily prevailed. Jones matches Platt’s talent for tears, and has a powerful presence in the finale. As Zoe and Connor’s parents, John Dossett (Larry) and Jennifer Laura Thompson (Cynthia) mine rich territory and achieve nuanced performances. 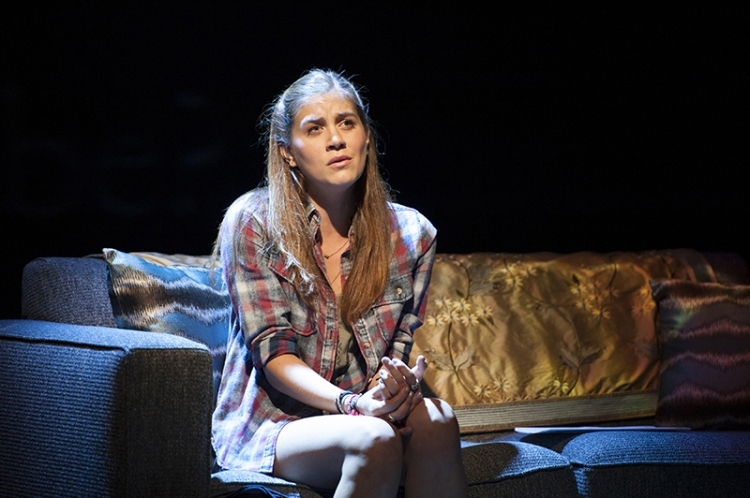 Laura Dreyfuss brings out all manner of layers in what could easily have been a one-note role of the pretty, popular girl. 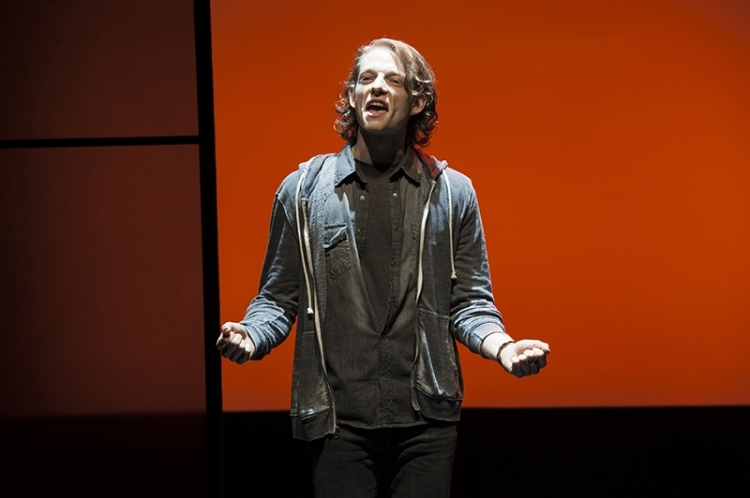 Mike Faist is scarily believable as surly teen Connor. As Jared, the dork who sees himself as anything but uncool, Will Roland provides many welcome laughs to offset the heavy drama. Kristolyn Lloyd brings a direct, sneakily humorous manner to precociously ambitious schoolgirl Alana. 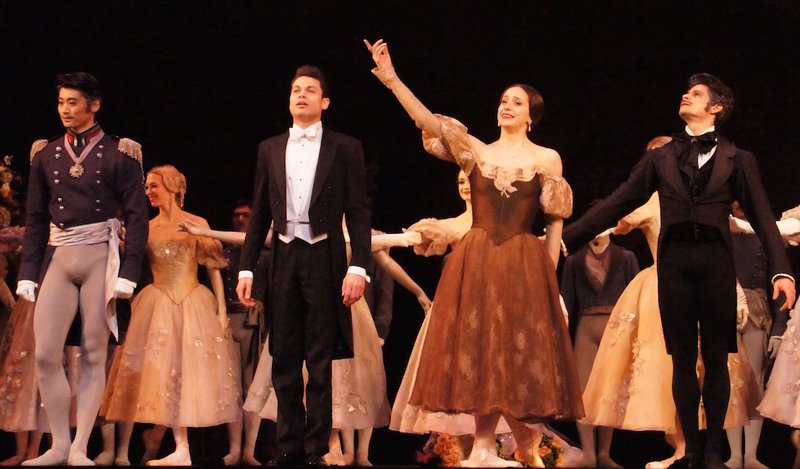 The success of Greif’s skill and influence in shaping and molding these performances and characters cannot be overstated. Dear Evan Hansen was seen at a preview performance 7pm Sunday 27 March 2016 at Second Stage Theatre, Tony Kiser Theatre. Opening night is 1 May 2016.